I first became connected to the Rye YMCA when Tatum reached out to me to see if I would be interested in a Sports Instructor position. 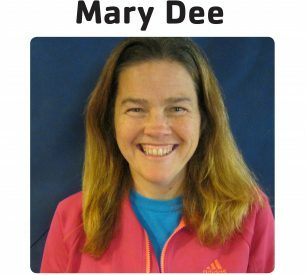 I was working at the New Rochelle Y at the time, and had gained a lot of experience with children through my work as a pre-school teacher. I was also a physical education teacher for 11 years. I started working at the Rye Y in May 2017. I was hired to teach an assortment of sports classes for children including Basketball, Lacrosse, Baby Sports and Multi-Sports. I also worked with the 5-7 age group at summer camp. The kids kept me busy and I couldn’t believe how quickly the summer flew by! When camp was over, I also started training in membership and get to welcome my campers, students, and even students I have taught in the past into the building. I love being able to see the progress the children make in their classes over the weeks, and I really encourage parents to keep their children involved and to maintain a steady routine. Keeping children in enrolled from session to session helps foster a love for sports which is something I am very passionate about. I hope to see my program participants continue to grow here at the Rye Y!